You’ve likely not had to think too much about where your water comes from if you live in north America. But the planet’s most plentiful resource is in danger of becoming unsafe and unaffordable—even for you. In 2010, the United Nations formally recognized the right to safe and clean drinking water and sanitation as an “essential” human right. At that time, according to the UN, more than 800 million people lacked access to safe drinking water, more than 2.6 billion did not have access to basic sanitation and 1.5 million children under the age of 5 died every year as the result of water- and sanitation-related diseases. In the United States and other developed nations, water problems often go unnoticed, until they are hit hard with something like the 2016 tragedy in Flint, Michigan. But according to a recent study by Michigan State University Professor Elizabeth Mack, not only do we need to be concerned about maintaining a safe and adequate water supply, we’re looking at a future where millions of people may not be able to afford what water we do have. Mack, an assistant professor of geography, recently published a study as part of a National Science Foundation grant. In it, she estimates that about 11.9 percent of U.S. households (13.8 million people) may find water bills unaffordable. And given historic water price trends (including a 41 percent increase in water rates since 2010) and income issues in many areas across the country, 2022 may see that number rise to 35.6 percent of American households. That’s more than 40 million people. How do you know if you’re spending too much on water? In the U.S., the Environmental Protection Agency calculates that water and wastewater spending should make up no more than 4.5 percent of a household budget. Mack calculates that a household must earn at least US$32,000 a year to be able to afford water at current rates without having to dip into money set aside for food and medical care. (Poverty level for a four-person household is figured at about $24,000 annually, and according to 2015 United States Census Bureau figures, 43.1 million people lived at or below that level). “People (in the U.S.) look at the number of households impacted by water access and affordability issues and say ‘no way, not in this country,’ but the truth is very different,” says Jason Hubbart, director of the Institute of Water Security at West Virginia University. As the Flint tragedy unfolded, the state of the country’s water infrastructure was brought front and center again. It will cost, according to estimates, $1 trillion to repair and renovate the nation’s system, and another $36 billion to buffer these systems against the impact of a changing climate. Hubbart lives in the heart of one of the regions hit hardest by both water affordability and availability, and he agrees the country is facing pressure on several fronts. Katherine Garvey, a specialist in environmental law and environmental justice at the West Virginia University School of Law, has spent a lot of time in places like McDowell County, and has seen firsthand the impact of water issues on local families. Christina Hemphill Fuller, assistant professor in Environmental Health at Georgia State University, points out that these and other issues tend to affect minority and low-income populations disproportionately, whether talking abou,t inner-city or rural areas. Not only is water becoming less affordable, in some areas, it has become more likely to make us sick. An analysis of Medicare records by Tufts University researchers found that between 1991 and 2006, more than 600,000 hospitalizations related to three pathogens commonly found in plumbing systems resulted in Medicare payments of about $600 million annually, a cost that researchers estimate may now exceed $2 billion annually. Researchers indicated that an aging infrastructure and typically unregulated premises plumbing systems were largely responsible for these infections. The concern is that costs will rise as antibiotic-resistant strains develop. Jeffrey Griffiths is one of the study’s authors and a former chair of the Drinking Water Committee for the E.P.A.’s Science Advisory Board. In Wisconsin, Florida State University Assistant Professor of Geography Chris Uejio, along with the Wisconsin Department of Health and Children’s Hospital of Wisconsin, looked at the impact of climate change on untreated groundwater sources and the chance of a future rise in gastrointestinal illnesses affecting children under 5. Wisconsin, where about one-quarter of the population gets its water from private wells, is projected to see dramatically increased levels of rainfall as climate change proceeds, which could increase the level of pathogens washed into the area’s groundwater supply. The study looked at five northern Wisconsin municipalities with minimally-treated drinking water and found that, if climate change proceeds as currently projected without additional facilities for groundwater treatment, it could lead to an increase of childhood gastrointestinal infection from 1.5 percent to 6 percent. For many years, Uejio says, it was thought that groundwater supplies were cleaner and safer than surface supplies, “but about 15 years ago, testing enabled us to quickly and easily test for pathogens in groundwater. Some tests showed us that around 27 percent of the country’s groundwater supplies contained viruses that could cause illness in humans. The time has come to address effects of climate change on our water resources, says Chris Uejio. West Virginia University’s Hubbart agrees. Feinstein says climate change already is pushing the limits of the infrastructure. Mack says the study could be impacted by the effects of climate change. What do we do, and who can help? In its 2016 budget, Canada announced a long-term infrastructure plan which included the CAD$2 billion Clean Water and Wastewater Fund, which resource authorities say, “focuses on meeting the immediate water needs of communities and lays the foundation for longer-term strategic investments.” They add that the 2017 budget proposes to provide $21.9 billion over 11 years for investments in green infrastructure, including $9.2 billion to support projects to deliver clean water, safely manage wastewater and help communities prepare for challenges resulting from climate change. In the U.S., federal infrastructure investment dropped from 1 percent of the gross domestic product in 1977 to .5 percent in 2012, even as GDP rose from US$6.59 trillion to $16.80 trillion. California, Feinstein says, has passed a number of water bonds to address some of the issues. According to Hubbart, there’s talk of progress in his state as well. Hemphill Fuller at Georgia State University thinks the next five years will be very challenging. “I think it’s going to come down to people working harder within their own state to ensure that their right to clean air and water is upheld,” she says. Mack, author of the study, says there are many issues to consider and that the study was the first in a long series. “It’s going to take a holistic approach, with cooperation between state, local and the federal government,” she says. But Alan Roberson, executive director of the Association of State Drinking Water Administrators, says we shouldn’t look to the federal level for funding. “Especially given the political situation now, I’d be skeptical about looking to the feds for any solution,” he says. “I do think they need to be a part of the solution, perhaps with low-income assistance programs for families unable to afford water. 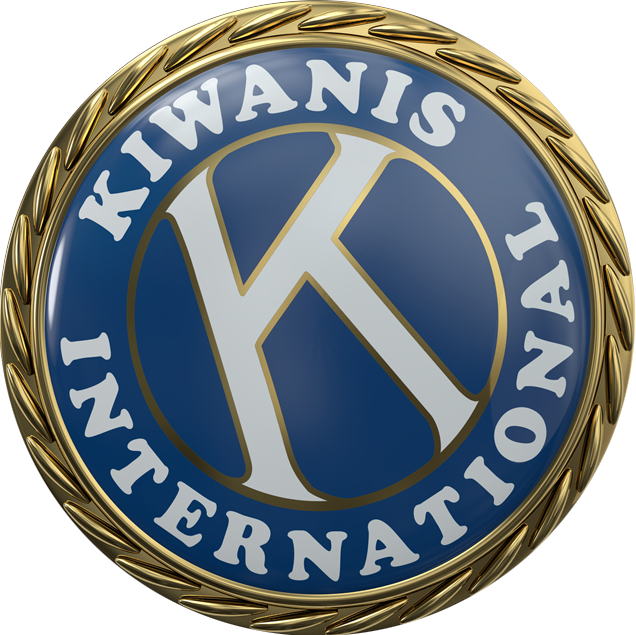 This story originally appeared in the June 2017 issue of Kiwanis magazine.